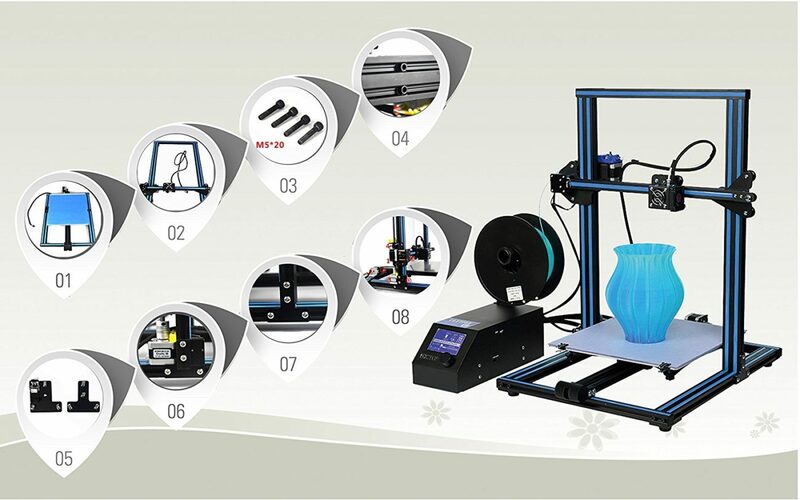 Previously, we’ve covered the HICTOP 3DP-18 3D Printer Kit by HIC Technologies. The 3DP-18 was your standard, full-size 3D printer kit, bringing the 3D printing into your home or classroom at an affordable price in exchange for putting the machine together yourself (which I personally find to be half the fun). If that machine, and others like it, was a bit more complicated than you’d like, HIC Technologies has you covered with their HICTOP Creality CR-10 3D printer kit. Assembly doesn’t get much easier than with the Creality, which ships to your door in only three parts. No measuring, no soldering. Just follow the simple instructions, and you’ll be printing in no time. Hobbyists just dipping their toes into 3D printing, as well as schools or families looking to introduce children to 3D printing, will get a kick out of the ease with which you can build a real 3D printer. That’s not to say the HICTOP Creality CR-10 is just for beginners. On the contrary, the CR-10’s super simple design actually allows it to print larger objects than similarly priced machines typically produce. By moving the printbed on one axis and the print head the other two, the Creality is shaped more like the open corner of a box, rather than caging in the print area. The base model can even be upgraded to produce a full 500 cubic centimeter print size. If the HICTOP Creality CR-10 sounds like fun, then this is the machine for you. It’s perfect for getting kids and general newcomers hands-on time with building and printing in no time. 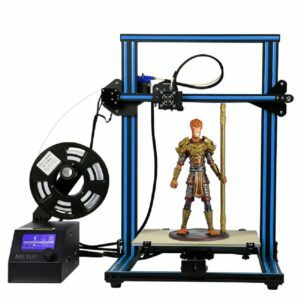 This HICTOP Creality CR-10 3d printer and laser engraver review relies heavily on specifications from the company and data from over 100 purchasers or reviewers on Amazon. 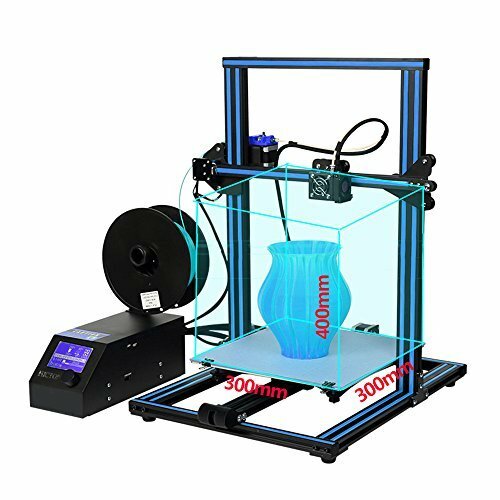 Be sure to check the latest reviews and current HICTOP Creality CR-10 Amazon pricing for the latest information to determine if this 3d printer is the right 3d printing solution for you. Have you used the HICTOP Creality CR-10 3D Printer? Please comment and let the community know your thoughts, rating, or review. Hello, my name is Cody Austen and I was wondering if the Creality CR 10 could print TPU right away or would we have to put an upgrade kit then print, that we could purchase. 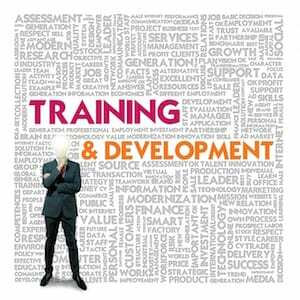 Please contact us back when you get a chance.